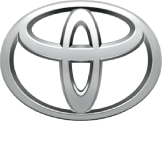 TYSONS, Va. – The National Automobile Dealers Association, a trade group representing U.S. franchised new-car dealerships, today released its annual sales forecast for new light vehicles in 2019. Based on a strong November, new-vehicle sales are expected to reach 17 million units in 2018, which would mark the fourth straight year of U.S. auto sales above 17 million units. NADA Chairman Wes Lutz, president of Extreme Dodge-Chrysler-Jeep-Ram in Jackson, Mich., who provided a dealer perspective on the state of auto retailing during the briefing, added that sales of 16.8 million new vehicles would still be a robust year in 2019 but was concerned about “price creeping” that could take some consumers out the market. In 2018, consumers continued to abandon car segments. Light trucks are on track to account for about 70 percent of sales, while cars will account for nearly 30 percent of sales. In 2017, the ratio was 64.5 percent light trucks and 35.5 percent cars. About 10 years ago, the sales mix consisted of 48 percent light trucks and 52 percent cars. Incentive spending, on average, per unit was down in November 2018 compared to the same month a year ago, according to industry sources. Manzi, who agreed with Lutz, added that a significant headwind for consumers is rising interest rates for new-vehicle financing. The Federal Reserve Board is expected to raise rates at its meeting in December 2018. One or two more rate increases are likely during the early half of 2019 and then rates are expected to hold steady. A positive trend for both consumers and new-car dealerships has been the growth in manufacturer-backed certified preowned (CPO) sales. CPO sales are up 2.2 percent through November 2018. Lutz, who sells two used vehicles for every new model sold at his dealership, added that rising transaction prices in the new-vehicle market will result in more consumers shopping for used vehicles. “There’s an abundance of late-model, off-lease vehicles returning to dealerships, which offers consumers an alternative to higher monthly payments on a new vehicle,” Lutz said. Manzi also provided an outlook of the macroeconomic factors that will impact auto retailing in 2019. NADA expects GDP growth of about 2.5 percent in 2019 and then a return to a long-term trend growth rate of about 2 percent or slightly lower. Lutz added that new-car dealers are generally optimistic about 2019 and excited about changes in technology from advanced safety features, improved fuel economy and especially vehicle electrification. Through November, U.S. light-vehicle sales were up 0.2%. Compared to this time last year, car segments continued to lose market share, down 4.8 percentage points, while their light-truck counterparts were up 3.8 percentage points. Through November, U.S. light-vehicle sales were up 0.2%. Compared to this time last year, car segments continued to lose market share, down 4.8 percentage points, while their light-truck counterparts were up 3.8 percentage points. The red-hot, cross-utility segment claimed most of that lost market share, posting a gain of 3.8 percentage points. Consumer demand for cars continues to fall, and manufacturers have responded by reducing the number of car models in their line-ups. Next year, look for more car models to be discontinued, with manufacturers adding new crossover, pickup and SUV models to cater to consumer tastes. Given strong vehicle sales in November, it seems likely at least 17 million units will be sold for the fourth straight year. But we do expect sales to continue slowing in 2019, now that pent-up demand from the recession has been satisfied and rising transaction prices and interest rates are placing added pressure on new-vehicle affordability. We remain concerned about tariffs on imported vehicles, which would lead to higher prices and lower new-vehicle sales. One bright spot: During the recent G20 summit last month, there was a tentative deal to lower auto tariffs between the U.S. and China—which, if implemented, should boost U.S. light-vehicle exports and allow for more models produced in China to be sold here. Posted in News and tagged Forecasting the future of auto retailing, new-vehicle sales in 2019, The Future of Car-Buying in 2019, U.S. Autodealers Outlook 2019, U.S. 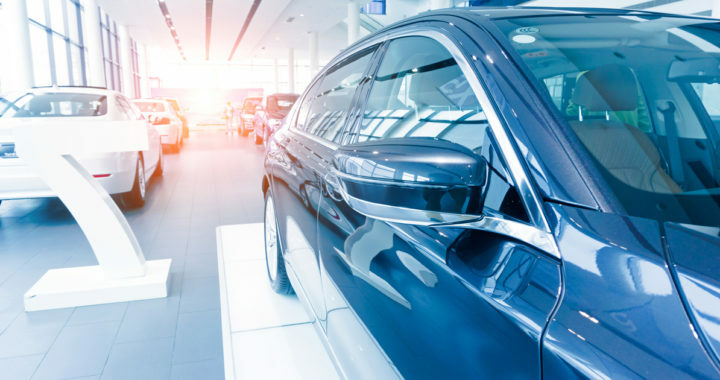 Automotive Industry Outlook 2019, US Automotive Outlook 2019.